Although they have mostly lingered in the background for two films, I am transfixed by The Volturi. Jane, Aro, Demitri — all of them. Thankfully they take center stage in “The Twilight Saga‘s” final two chapters, “Breaking Dawn” parts one and two. But we still have 18 months until cresting sunrise, so let’s focus instead on “Eclipse” — which is devouring the box office right now. I chatted with Charlie Bewley, who plays Volturi tracker Demetri about joining the franchise, crafting that eye-gouging hairdo and his hopes for a 3D finale. Before making his major motion picture debut as the Volturi clan’s mysterious vampire Demetri inNew Moon, British-born Charlie Bewley was studying acting in Vancouver and spending his free time pursuing his love of sports and adventure. A is for Alice, the spritely, spiky-haired Cullen sister whose special vampire gift is her ability to see the future. She can tell you when to skip biology class (blood-typing day! 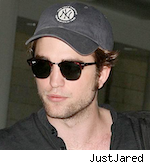 ), and let you know that your boyfriend is en route to Italy to request a decapitation (Edward Cullen in ‘New Moon’). The only thing this fashion maven is blind to is the wolves — this explains how she saw Bella’s cliff-dive, but entirely missed the part when Jacob pulls her out of the water. 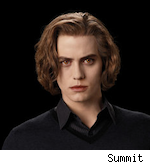 Alice’s mate is Jasper Hale, the blond Southerner who is constantly trying not to fall off the vegetarian vampire wagon. 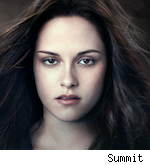 B is for Bella Swan, the center of the ‘Twilight’ stories. Many humans at school try to be her friend, but she prefers the supernatural kids, not the cool kids. A true danger magnet, the clumsy and awkward Bella is constantly in mortal peril. Fortunately, her über-protective boyfriend Edward Cullen and her seriously hot (at 108.9 degrees) best friend Jacob Black have rather unnatural abilities to help keep her alive — Edward is a vampire and Jacob is a shape-shifting werewolf. Her number one desire is to become a vampire and spend eternity with Edward — but he does not want to destroy her soul. The love triangle that develops between Edward, Bella and Jacob is an angst-filled, highly dramatic, swoon-inducing romance. C is for Coven, a group of three or more vampires that live together. The Cullen family is a coven of vampires who live amongst humans and do not harm them — they drink the blood of animals instead. 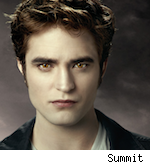 The bodacious Denali coven in Alaska, whom the Cullens think of as extended family, are also vegetarian vampires. The largest and most powerful coven in the vampire world is the Volturi, who ruthlessly enforce the laws of the vampire world. Headed up by Aro, they are regarded as royalty, and have existed for over three thousand years. D is for Death, because you cannot have a proper story about vampires without a lot of death involved. In ‘Twilight,’ James and his nomadic coven killed several humans before he set his sights on Bella; he was eventually killed by the Cullens. In ‘New Moon,’ Edward’s mistaken notion that Bella had killed herself set him off to attempt ending his life at the hands of the Volturi. 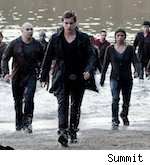 The Wolf Pack dispose of Laurent, one of the vampires in James’ trio, while keeping Bella from becoming his next meal. In ‘Eclipse’ there are many human deaths, as Victoria murders innocents throughout Seattle. E is for Edward Cullen, the beautiful, velvet-voiced, and permanently 17-year old vampire that Bella Swan is unconditionally and irrevocably in love with. This is the guy that makes human boyfriends and husbands seem inadequate. Born Edward Anthony Masen in 1901, he was changed into a vampire in 1918. In over a century, Bella’s is the only unreadable mind that Edward has come across. He eventually overcomes his desire to drink her blood, which sings to him. His love for her is so all-consuming that he makes the ultimate sacrifice, leaving her in ‘New Moon,’ so she could have a normal, human life. In ‘Eclipse’ their dramatic relationship continues, as Bella eventually becomes his fiancée. G is for Gifts. While all vampires have incredible speed and strength, keen senses and immortality, some vampires have special gifts, or powers, that elevate them above the rest. Among the Cullens, Edward can read minds, Alice can see the future, and Jasper can feel and affect the emotions of others. James had the special ability of tracking, while Victoria is gifted with an uncanny sense of escape. 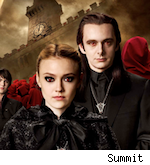 The Volturi coven had several “gifted” members: Aro could see a person’s entire mind just by touching them, Alec could paralyze one’s senses, and Jane could project the illusion of incredible pain. H is for Humans, the regular people in the ‘Twilight’ world who have no idea that they are surrounded by supernatural creatures. Bella’s parents, the townspeople of Forks, the staff at the high school, and Bella’s small circle of friends (Mike Newton, Jessica Stanley, Eric Yorkie, and Angela Weber) — these normal, edible humans live a carefree existence, ignorant to the dangers that lurk around every corner. Only the Quileute humans — wolf and non-wolf alike — know what’s really going on. I is for Imprinting, an involuntary reaction from a werewolf, wherein they literally see their soul mate and become permanently bonded and committed to that person for life. One can imprint on another person, and age apparently doesn’t matter. Sam Uley imprinted on Emily, Quil on Claire, and Jacob on … well, you’ll see. J is for Jacob Black, the Quileute boy with whom Bella once made mud pies, but who is now her best friend and hopelessly in love with her. Jacob’s werewolf gene is activated in ‘New Moon,’ and his new shape-shifter status helps him, along with the Wolf Pack, keep Bella safe from the murderous Victoria. Jacob is the one who tells Bella about “The Cold Ones,” and is the only sunshine in Bella’s dark, sad life after Edward and the Cullens leave her. In ‘Eclipse’ Jacob is livid that Bella has chosen to become a vampire, and his and Bella’s attempts to stay friends make Edward jealous, causing his protective nature to go into overdrive. K is for K-I-S-S-I-N-G, because there is a whole lot of this in the ‘Twilight’ series. Bella is the luckiest girl in the world, seriously. She has many kissing opportunities with Edward (just has to be careful of his razor-sharp teeth), she almost kisses Jacob in ‘New Moon’ (just has to mind his bad temper or he’ll go all wolf on her), and in ‘Eclipse’ she will definitely be kissing both. L is for La Push, baby, La Push. 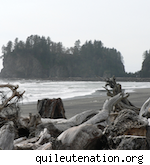 This is the picturesque oceanside home of the Quileute Tribe, about 14 miles west of Forks. Jacob lives here with his dad, Billy, and he and his friends often go to First Beach for bonfires and up the cliffs for some diving action. 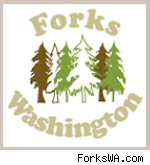 The Forks kids like to come down here for some freezing cold surfing, as Bella, Mike, Jessica and a few others did in ‘Twilight.’ It’s okay to get a paper cut here, though — the Cullens aren’t allowed. M is for Meadow, the magical secret place where Bella and Edward go, and a significant location in the ‘Twilight’ saga. Edward takes Bella to the meadow in ‘Twilight’ — this is where she first sees his sparkling vampire qualities, as he demonstrates his strength and speed. In ‘New Moon,’ the opening scene with her “grandmother” dream takes place in this meadow. After Edward has left, she finds the meadow again and is devastated at its withered state; then Laurent appears and tries to kill her. In ‘Eclipse,’ Bella and Edward return to their special place, which Edward now calls “our meadow.” Sigh. N is for Newborns, the army of young vampires that Victoria is building in the Seattle area during ‘Eclipse.’ After the Cullens killed James in ‘Twilight’ for his attempt on Bella’s life, his mate Victoria was out for revenge. Operating alone after Laurent’s death-by-Wolf Pack in ‘New Moon,’ Victoria decides that building an army of newborns would be the most effective way to annihilate the Cullens. 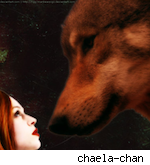 Little does she know that the Cullens and the werewolves have forged a formidable and unprecedented alliance. 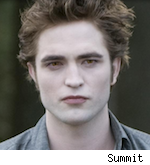 O is for OME (Oh My Edward), an utterance that many a Twi-hard uses regularly to express unabashed, unadulterated, undying love for their favorite emo vampire, Edward Cullen. Other than Batman (as in “Holy fill-in-the-blank, Batman”), no other fictional character has inspired an oft-used exclamation. Another Edward-inspired one is WWED (What Would Edward Do?). P is for Proposal, when Edward officially proposes to Bella in ‘Eclipse.’ She wants their relationship to go to the next level while she is still human, but he won’t allow it, fearful that he’ll lose control and kill her. Seeing how much it means to her, old-fashioned Edward finally agrees on the condition that they marry first. He proposes with Elizabeth Masen’s ring — his human mother who died of Spanish Influenza in 1918. 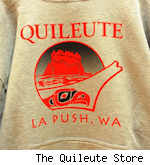 Q is for Quileute Nations, the real Native American tribe that lives in La Push. In the ‘Twilight’ series Jacob, his family, and the rest of the Wolf Pack are Quileutes, whose legends say that their people descended from the wolves. It is the presence of “the Cold Ones,” vampires, that activate the wolf gene in certain Quileutes, and they attain the ability to shape-shift into giant wolf form. S is for Six-Pack, because there is no room in ‘Twilight’ for vampires or werewolves with a spare tire. In ‘New Moon’ we get serious six-pack action, starting with Jacob cleaning up Bella’s bloody head with his shirt, moving on to much more shirtless scenes with Jacob and the Wolf Pack, and culminating in Edward’s big reveal of his sparkling six-pack in Italy. 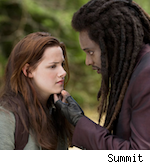 T is for Tent, because Twi-hards the world over have been anxiously awaiting the famous “tent scene” from ‘Eclipse.’ Jacob, Bella and Edward are forced to share a tent on the cold mountainside — to Edward’s horror, 108.9-degree Jacob shares a sleeping bag with Bella as he is the only one who can keep her from freezing to death. This scene also involves Edward and Jacob having their first honest and open conversation, which Bella overhears. Team Jacob loves this scene because (finally!) Bella kisses Jacob and realizes she is in love with him, too. Choices, choices. U is for Uley, as in Sam Uley. He is the head of the Wolf Pack in ‘New Moon’ and ‘Eclipse,’ having been the first of this generation of Quileutes to become a shape-shifter. He is the one who finds Bella in the woods after she gets lost trying to get to Edward when he leaves her. Jacob at first is intimidated by Sam and his strong influence on the other guys from the rez — he thinks Sam has some kind of gang. Not until Jacob becomes a werewolf, too, does he realize that Sam has been helping the boys. 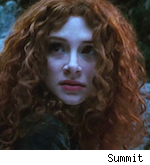 V is for Victoria, the sadistic and vengeful fiery-maned vampire who wants Bella dead, as retribution for Edward and the Cullens having killed her mate James. 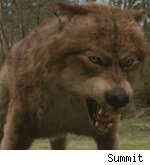 In ‘New Moon’ she came close to Bella many times — most notably in the water after Bella dove off the cliff — but Jacob and the Wolf Pack were always able to save Bella. 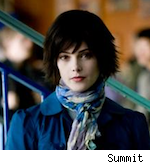 In ‘Eclipse’ she changes her tactics and instead of going it alone, builds an army of young vampires to attack the Cullens. W is for Werewolves, the shape-shifting kind that some of the Quileutes have a genetic predisposition towards. Sam, Quil, Paul, Jared, Embry, Seth and Leah, along with Jacob, are the Quileutes with this gene. They are not ordinary wolves — they are enormous, bear-sized creatures with super strength and senses, as well as the ability to communicate with each other telepathically. Phasing on the run can be hard on your clothing budget — the clothes just rip to shreds. X is for Xavier Samuel, the 26-year old Australian actor who plays Riley, the newborn vampire who serves as Victoria’s wingman, as well as the object of her phony affections. Riley is more controlled than the newborns, and is able to carry out Victoria’s tasks without the constant distraction of wanting to kill humans. He’ll be meeting up with Seth and Edward in ‘Eclipse’ for what promises to be an amazing fight. 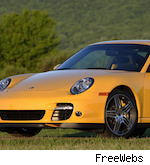 Y is Yellow Porsche, the car Alice steals in ‘New Moon’ in order to get Bella to the clock tower in Volterra and save Edward from getting himself killed by the Volturi. Small, powerful and speedy — just like Alice. In ‘Eclipse’ Edward buys Alice an identical car as a bribe to keep an eye on Bella while he’s off hunting. 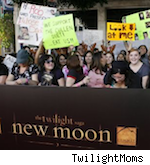 Z is for Zeal, because nothing can match the zeal of ‘Twilight’ fandom. From camping out at premieres, to set stalking, to repeated re-readings and re-watchings of the books and films, to creating fan made videos and posters — there is no end to the zealousness of Twi-fans! “Passage to Eternity” has a new section just for you: “Twilight Cast Member of the Week”. Here we will present yor favourite actors in a Curriculum Vitae way. PS: You can find the secton on the sidebar just below “Menu”.